Although we already know Google plans to reveal at least three new devices tomorrow, there's definitely room for some surprises as well. Obviously, the main highlights will be the Pixel 3 and Pixel 3 XL, but a Chrome OS tablet, the Pixel Slate is expected to make its debut on October 9 as well. Unfortunately for Google, information about both of its upcoming phones has leaked long before the tomorrow announcement, so there's not much that we haven't yet learned about the Pixel 3 and Pixel 3 XL. Still, if those leaks haven't yet quenched your thirst for information about the Pixel 3 and Pixel 3 XL, we have a bunch of new press renders showing the phones from all angles. Well, technically, they aren't really new, but they aren't watermarked since they're coming from Evan Blass. Both phones are shown in three different colors: black, white and pink. While Verizon will be the only carrier in the US to offer the Pixel 3 and Pixel 3 XL, that doesn't mean that you can't purchase it from Google Play Store and bring it to other carriers in the country. Keep in mind that you'll be able to pre-order either of the two smartphones immediately after the official announcement, but shipments are slated to begin on October 22. Design can be subjective to anybody. I like the white but I wish they also make a red button instead of teal. I don’t think the regular Pixel 3 is ugly. In fact, I like it a lot. Reminds me of the old Nexus 6 design in the front with the dual firing speakers. Exactly. The smaller version is actually the perfect phone I was looking for, for a very long time! The only con is the missing headphone jack, but having all those pros I can live with it. I love it, really grown on me. The smaller Pixel looks fine, if a bit dated. If your not into looks, these are great phones. 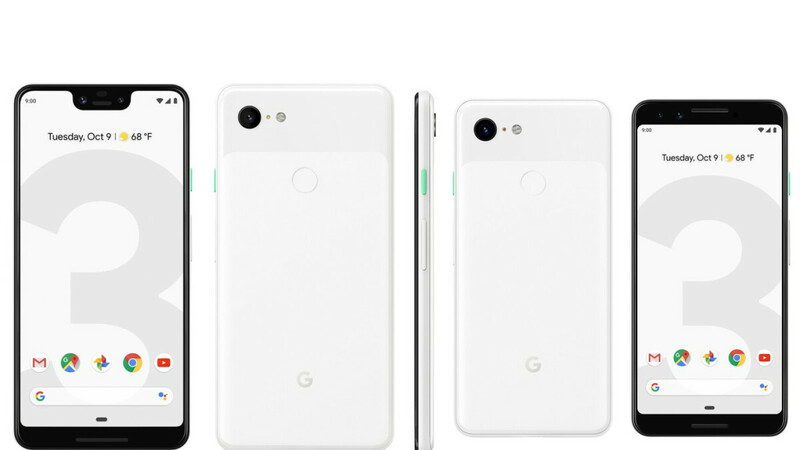 Somehow, I was hoping that Google was trolling the world with this thing, and that it woukd reveal the real 3rd generation Pixels, which would be much better designed than this. My hopes have been dashed, and I just threw up in my mouth. If I can get the smaller, more attractive Pixel 3 by October 25 that would be perfect. Children are going to the pumpkin patch for a field trip and that would be the perfect place to run it through its paces. I like the look and design of the regular Pixel 3. I like the front firing speakers too. I just hope for Google's sake that they aren't riddled with hardware bugs. Judging by the history of the Pixel line thus far, bugs will be incoming, unfortunately. It is going to win the 2018 award for the most ugly notch. They usually planned to minimize the width of the notch but decided to place a lot more sensors which made it weird. If they were working not only on the AI and software but also on the design then their phone could become one of the best in 2019.
this phone so ugly it makes me wanna smack my mama.